Everyone likes a cold drink no matter the situation. Though of course you need a cooler for that. Without a doubt Yeti and Grizzly of 2 of the biggest names when it comes to cooler manufacturers. But which is better? The Yeti vs Grizzly cooler discussion has a lot of things to consider, some things that may be more important that others depending on your wants and needs when it comes to a cooler. First off I will I will list my personal favorites of each both Yeti and Grizzly and then I will compare each of them in all the significant areas that are important in coolers like ice retention and build quality. Both Grizzly and Yeti are both known for having the best coolers. Below I have chosen the best cooler and the most popular options and I am going to give you an overview of each. After I will compare them directly. 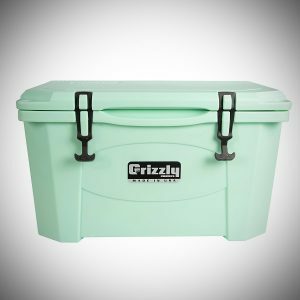 This version of the Grizzly cooler is available in a host of different sizes and color options. Anything from 15-quart all the way up to 75-quart. It’s also available in a host of different colors including anything from white to a seafoam green of which I am quite fond of. In my review, I opted for the 20-quart in seafoam green. When it comes to the build quality and design I am always impressed with Grizzly products and this is no exception. The cooler is made from a roto molded plastic which basically means its built like a tank and that shows in durability too. It’s incredibly strong and this also means superb insulation as well, which we will get to in a moment. 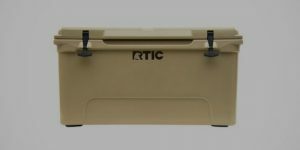 The latches secure the cooler nicely with a tight fit that not only is premium but can stop any pesky critters getting inside and it even has the Bear Proof Certification which means a bear won’t be able to get inside, and perhaps that’s where they get their name from! When it comes to ice retention on this cooler it is very good, I was personally able to get 5 days of retention in temperatures that averaged 85F, for a small cooler that is extremely good and considering if you did opt to go for one of the larger options that is only going to improve further the larger it is. Though this 20-quart option that I went for had plenty of room inside, enough to hold 24 cans with 5 pounds of ice. When it comes to carrying the cooler, the handles are some of the most durable handles I have used and I was able to carry even for 30 minutes when its fully loaded. This cooler comes with a drain plug and so do all the larger ones in this line of coolers but the 15 size does not so keep that in mind when buying. It also comes with a dry goods tray which can be handy if you aren’t only using the cooler for drinks. 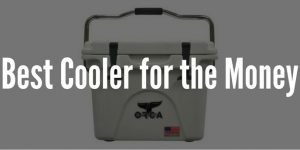 This Grizzly cooler and this line of Grizzly coolers come with a lifetime warranty which is always appreciated even though I can’t imagine you having to make use of it! 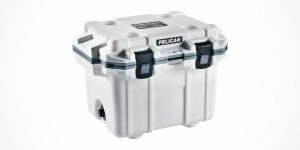 The Yeti Roadie is the most similar Yeti cooler to the Grizzly cooler above and it’s also the most popular option for Yeti as well. It comes in at 20-quart size and is available in 3 different colors. The design of this Yeti cooler is top of the line, not only does it look the part but it’s very durable and can take a lot of punishment. Being a roto molded construction means its strong and allows for immense ice retention. The latches that close this cooler work like a charm, they are simple to use and really that simplicity is what makes them great along with being a premium material. One thing I particularly like about this cooler is the handle. It is a full-length handle as you can see in the pictures and that means it’s very easy to carry which increases portability. In terms of holding ice the Yeti is very good, it can easily go 4-5 days in very hot temperatures of 90+ and this will only improve if it’s in a cooler environment. For the size of this cooler it really is an immense feat and of course that is why Yeti are the Rolls Royce of coolers! For more details on other Yeti coolers check out my Yeti Coolers on Sale article. Build Quality – When it comes to build quality the coolers are much the same, both are made from a roto molded plastic with solid hinges. There is not a major difference here. Both have excellent durability and insulation as well. Design – When it comes to design there are some small difference like the Grizzly comes with a dry goods tray and the Yeti doesn’t. 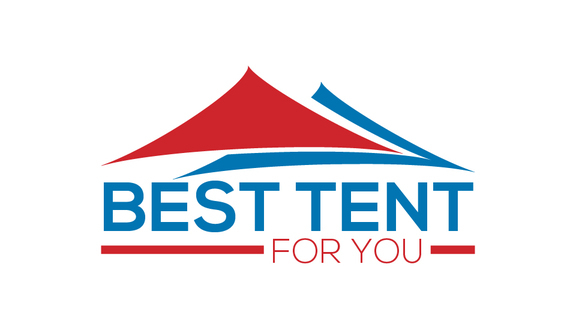 If most of the other areas don’t matter as much to you, then it’s probably best to go with the one that you personally like the most in terms of design. Ice Retention – When it comes to ice retention in these two models Grizzly tends to slightly edge out Yeti though it is not a massive difference but if ice retention is your number one priority then I would go for Grizzly without a doubt. Warranty – The Grizzly coolers have a lifetime warranty whereas Yeti coolers have a 5-year warranty. So of course, that is another advantage for Grizzly. Overall /Value for Money – The prices on these coolers tend to be similar usually with Yeti being marginally more expensive. But when comparing each of the areas individually its tends to be Grizzly that offers the better options and quality, pretty much always edging out Yeti in each of the categories though the difference is quite small in most cases. So, when it comes to value Grizzly is the clear winner for me. I would thoroughly recommend going for a Grizzly cooler over a Yeti because these tendencies seem to be in all their coolers they make. 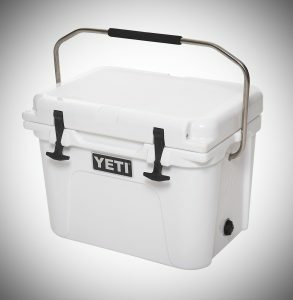 So, while in the battle of Grizzly coolers vs Yeti, Yeti may be a bigger name but Grizzly is the obvious winner for me!